7 NOVEMBER 2011 ADDIS ABABA : Together, the African Child Policy Forum (ACPF), a leading advocate on policy and dialogue on children in Africa, and Defence for Children International (DCI), a non- governmental organisation that promotes and protects children’s rights on a global, regional and local level, hosted a major international conference on child justice in Kampala, Uganda on 7-8 November 2011. 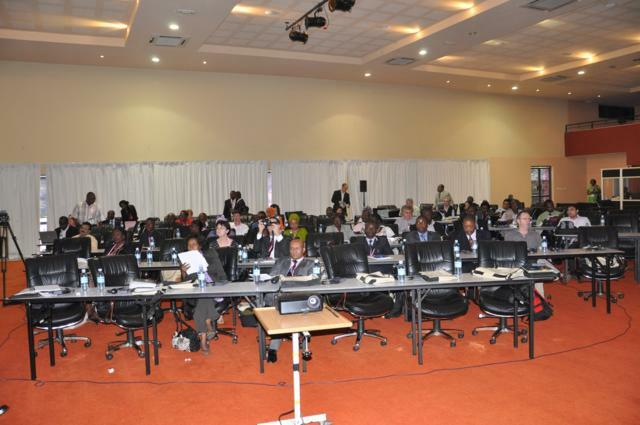 Over 300 delegates from all over the African continent and the wider world attended the “Deprivation of Children’s Liberty as a Last Resort”, which was held at the Speke Resort and Conference Centre in Kampala, Uganda. Child Justice "All deserve a fair hearing"
Faites un geste de participation volontaire. L’organisation de tels événements coûte beaucoup d’argent. Vous avez été invité à participer à cette conférence sans avoir à payer de frais d’inscription. 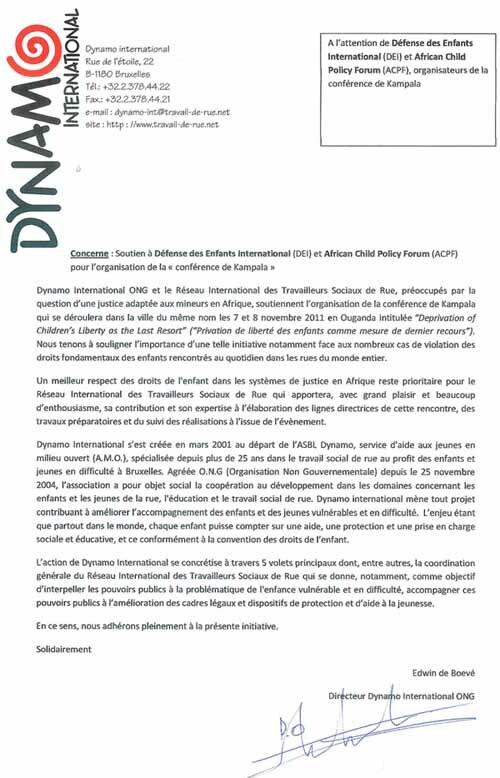 Toutefois, ACPF et DCI DCI souhaiteraient que vous envisagiez une participation volontaire aux coûts de cette conférence. Dr Benyam Dawit Mezmur is currently the Second Vice Chairperson of the African Committee of Experts on the Rights and Welfare of the Child (ACERWC). He is currently a Mellon-Research Fellow based at the Community Law Centre, University of the Western Cape (UWC) in Cape Town, South Africa. He is also the lecturer of the LLM module on Children’s Rights and the Law at UWC. Previously, he has worked as a Legal Officer for the African Child Policy Forum (ACPF) and as a part-time lecturer in two private academic institutions in Addis Ababa. Dr. Mezmur has been invited as a guest lecturer in academic institutions in Africa and Europe, has been awarded research fellowships by the Universities of Utrecht and Groningen (Netherlands) and Abo Akademi (Finland), and presented in national and international conferences. He has also undertaken work for some intergovernmental and non-governmental organisations. He received his LLB from the Addis Ababa University, a LLM from the University of Pretoria (the Centre for Human Rights), and a Doctorate in Law from the University of the Western Cape. He has been closely involved in the work of the ACERWC since 2002.